Efficiently leading your technology professionals, what can we learn from autism? In this course you will learn the basics of the most autism friendly and therefore also technology professional friendly communication there is, especially clear communication. Through examples and short exercises you will learn what clear communication is and how you can shape this to your own use. To lead and direct is to communicate: to formulate instructions and tasks, give and request feedback and make decisions. The brain of technology professionals varies slightly from the average brain, which can result in communication differences. This is particularly obvious when a lack of communication or inefficient communication leads to all sorts of misunderstandings and frustrations. These consequences are similar to what we see in the extreme systemising brain that we also known as the autistic brain. This is why leaders and directors of highly educated technological brains can be inspired by the knowledge of autism experts regarding the communication with autistic brains. 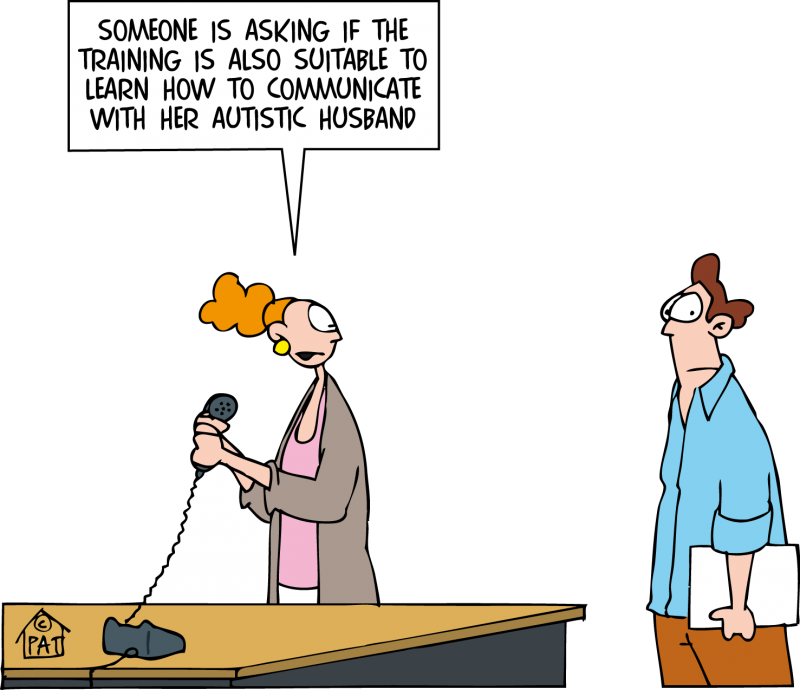 During this one-day course we will address several difficulties in communications with autistic people as an inspiration to discover possible pitfalls in the communication with technology professionals. The person finds it hard to communicate the core issue and gets lost in irrelevant details. Have the necessary know-how in order to optimise communication with technology professionals. Team-, project- and process managers and HR managers working with highly educated technology professionals. The do’s and don’ts of clear communication. Presentations, exercises, discussions and group work.